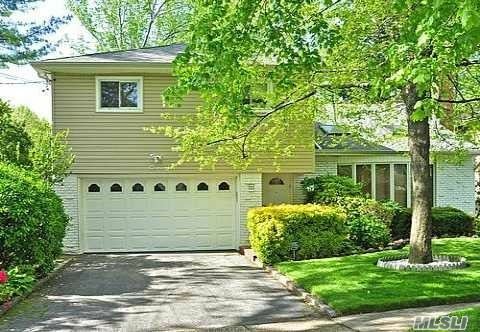 Balcony Split On Beautifully Landscaped Property In Hewlett Woods. Living Room With Cathedral Ceiling, Skylights, Fireplace And New Windows. Fully Renovated Eat In Kitchen Open To Dining Room . Large Den With Sliders To Immaculate Backyard. Full Finished Basement, 2 Car Garage, Cac, Hardwood Floors. Sd#14. Quiet Street On Cul-De-Sac. Extended Driveway, Smart Home, In-Ground Sprinkler System, New Blacktop/Brick Pavers, Italian Marble, Top Of The Line Appliances, And Smart Home.